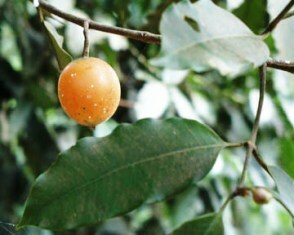 Cerillo is a minor fruit from the Central America. 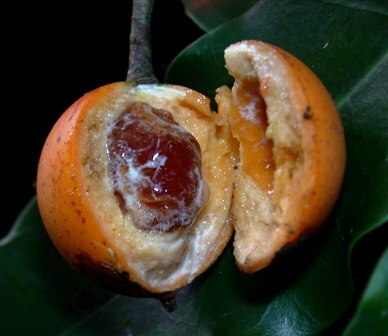 The fruit can be commonly seen in the parks and reserves along Costa Rica’s southern Pacific slope (from Carara to Corcovado), though it is found on the country’s Caribbean slope as well. It ranges from Belize to Panama. Cerillo is not known outside Central America. A small to medium sized tree with a straight and cylindrical trunk upto 45 cm in diameter scattered with conical blunt spines; bark smooth, gray-brow. 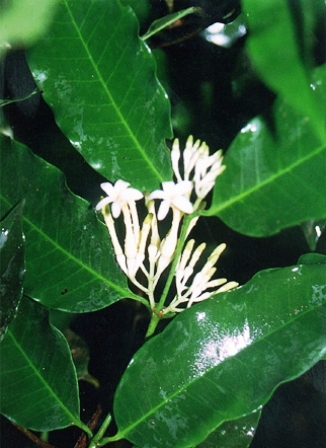 Leaves simple, opposite, 10-12 cm long, narrowly elliptical, dark green baring a contrasting pattern of yellow, pinnately arranged veins, spaced evenly on branches, leaves give out white latex if damaged. 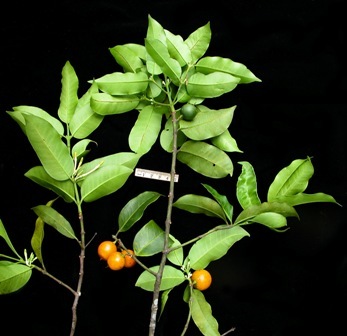 Fruits a berry, rounded, nearly spherical, 4 cm wide and yellow when ripe; flesh soft and thick, edible. Seeds small, 2 per fruit weighing 230 to 250 mg each. The fruits are edible. These are also suitable for making canned juices, preserves and jellies. 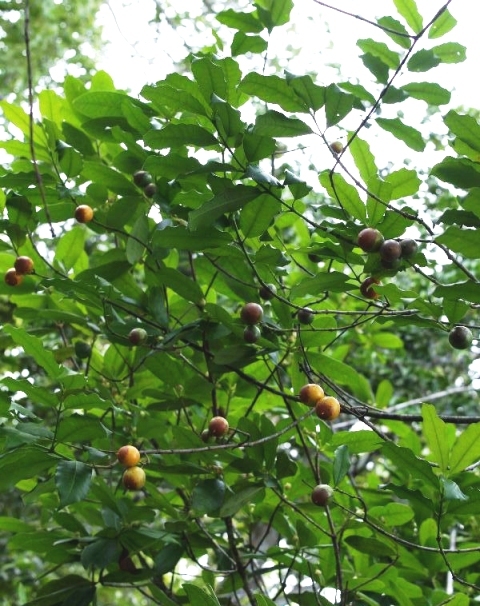 Latex from cerillo trees is used as chewing gum, as an additive to rubber, and also as a milk substitute in coffee. Cerillo is not cultivated on commercial scale. The fruits, if needed for use, are just collected either from wild growing trees or those in parks etc. New plants are raised from seed which germinates readily.